The Simpsons is an animated sitcom created by Matt Groening. The series is a satirical parody of a middle-class American lifestyle epitomized by its eponymous family, which consists of Homer, Marge, Bart, Lisa, and Maggie. The show is set in the fictional town of Springfield, and lampoons American culture, society and television, and many aspects of the human condition. 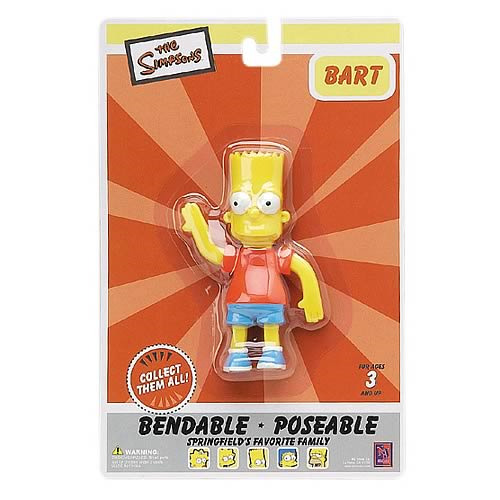 Take home this Simpsons Bart Simpson Bendable Figure today!